Adam Forrest was raised in Richmond, Indiana, and graduated from Richmond High School in 1993. Upon graduation, he attended Marquette University and received his Bachelor of Arts, Public Relations, in 1997. 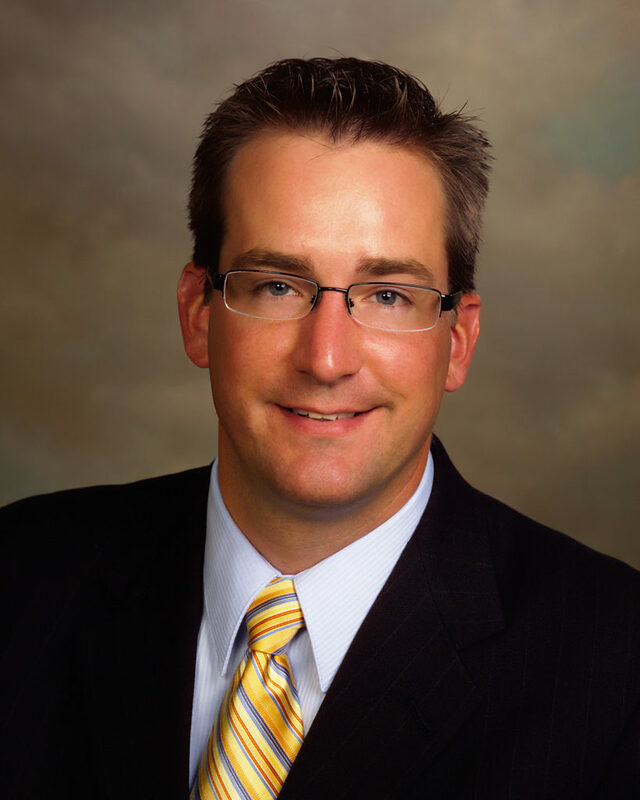 Adam then attended the Creighton University School of Law and received his Juris Doctor degree in 2000. After law school, Adam served for two years as a staff attorney for the Illinois Supreme Court. Next, he served for two years as a law clerk for the Honorable William G. Hussmann, Jr., Magistrate Judge of the United States District Court, Southern District of Indiana. In 2004, Adam joined the firm as an associate and in 2009 he became a partner. He is a general practitioner with a majority of his practice focusing on the areas of civil litigation, criminal defense, family law, and estate planning and administering. Adam also represents several corporate and individual clients as well as many municipalities in Wayne and Rush Counties. Adam is a member of the Wayne County Bar Association and the Indiana State and Illinois State Bar Associations. Adam currently serves on the board of directors of the Wayne County Foundation, Boys & Girls Clubs of Wayne County, Junior Achievement, Cope Environmental Center, and Whitewater Valley Pro Bono Commission. Adam is licensed to practice law in the State of Indiana and the State of Illinois. Practice Areas: Civil Litigation, Criminal Defense, Family Law, Municipal Law, Collections, Estate Planning and Administration. Member: Wayne County, Indiana State, and Illinois State Bar Associations. Biography: Sigma Phi Epsilon; Phi Delta Phi; Student Articles Editor, Creighton Law Review, 1999-2000. Clerk to Honorable William G. Hussmann, Jr., Magistrate Judge, U.S. District Court, Southern District of Indiana, 2002-2004. Publications: “Is There a Significant Risk or High Probability of HIV Transmission From an Infected Health Care Worker to Others? The Sixth Circuit’s Answer Lies in Mauro v. Borgess Medical Center,” 32 Creighton L.Rev. 1763 (1999).